T-Mobile is the newest US carrier to declare availability detail for the LG G4, after the likes of Sprint and US Cellular. You are going to be able to purchase LG G4 online beginning from tomorrow if you are a fan of the magenta carrier. The device is going to become available in leading stores on 3rd of June, however the online orders is going to begin shipping before that. As all the time while T-Mobile is involved, to get the device you pay nothing upfront, then its followed by 24 equal monthly payments. In this matter, the price of each of those is going to be $24.99, for a total price of $599.76. If you buy this smartphone online from tomorrow and by 21st of June, then you are going to get a 128GB memory card for free. In the image to the left you can see the leather brown cover will be exclusive to T-Mobilink in the US. 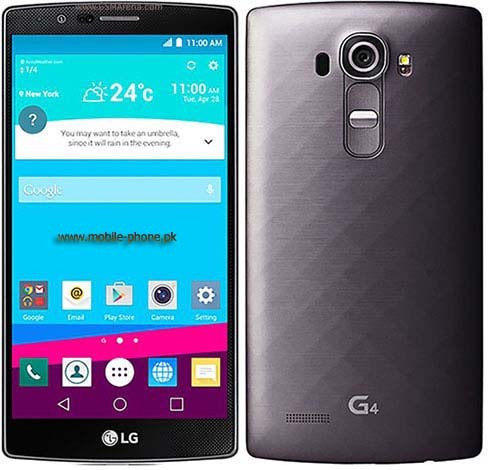 You might know that the G4 is LG’s flagship providing for this year. This latest device is equipped with a 5.5-inch QHD screen, the Qualcomm Snapdragon 808 chipset, 3GB of RAM, 32GB of storage, a 16 MP rear camera with optical image stabilization and LED flash, an 8 MP selfie snapper, and a 3,000 mAh battery. To get the full picture make sure you read our review.